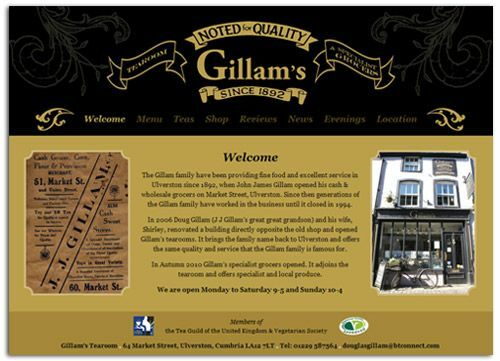 Gillam’s Tearoom now have a new CMS website to complement the rest of their branded material. As part of their brand development we’ve created leaflets, packaging, aprons, menus and bags. The website is the last phase of the development.